Ideal for everyday use, put in your pocket, purse, backpack or car. Great replacement for bottled water. 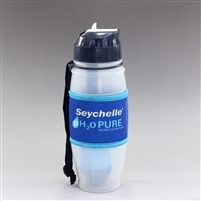 Seychelle's exclusive filters are the most laboratory and field-tested to EPA protocols and tested to NSF/ANSI Standards 42 and 53 by Broward Testing laboratory. 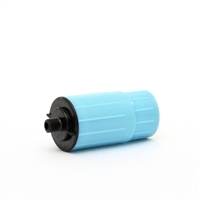 The Regular filter is ideal for use as a replacement for bottled water. The filter must be used with a chlorinated or disinfected water source. It removes up to 99.99% of contaminants and pollutants that may be found in fresh water supplies including Aesthetics such as chlorine, sediment and dirt; Chemicals (VOC's) such as DDT, MTBE, Benzene, Chloroforms (THM's); and Dissolved Solids (heavy metals) such as Arsenic, Lead, Mercury, Copper, Zinc, Aluminum and Chromium 6. It also removes up to 90% of Fluoride.